Precision and winning for over 30 years. The PRO Shocks reputation for building winning racing and performance shocks begins with the company’s comprehensive knowledge of chassis dynamics. The proven performance that makes PRO Shocks suspension systems famous for quality comes from a precision manufacturing environment that holds the most stringent tolerances during assembly and through to the dyno process. PRO Shocks has maintained this quality for over 30 years because the company attracts race-oriented professionals who come to the job with as much passion as our customers bring to their cars. For circle track, street rod, and muscle car professionals. Because we’re pros in racing and performance, we understand the excellence you are looking for – as a pro – to win. PRO Shocks puts all that it has into making the product AND the service right for you. The advancement of shocks over the last decade makes choosing the right suspension product the difference between a successful season or not. We’re not here to just sell a shock to you. We’re here with the pros and the training to ensure that you get the right shock, and that you know what to do with it. While many racing parts have advanced significantly in the last decade, few racing and performance parts have seen as much major advancement as shocks and suspension components. 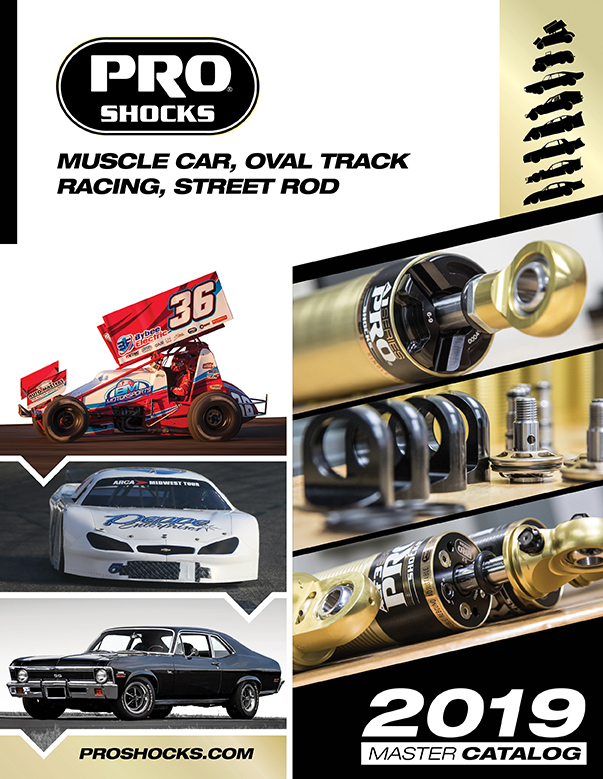 During this time, PRO Shocks has remained the world leader in shock technology and innovation. In our 30th year of business, we are as intense in our pursuit of winning perfection as we ever were. Our unsurpassed dedication to engineering, tech experience and on-track testing keep our knowledge of chassis dynamics among the most comprehensive in the industry. As a result, PRO Shocks are among most winning products in racing and performance. We know that designing shocks that win starts with a deep, experienced knowledge of chassis dynamics. Equally important, we know that producing the best racing and performance shocks requires a manufacturing method where stringent tolerances are held during the assembly and dyno process. Because our manufacturing precision is nearly unmatched, the PRO Shocks company is chosen to manufacture private label shocks for some of the largest performance parts distributors in the world. When you deal with PRO Shocks, you are dealing with the source of quality shock manufacturing that sets the bar for the world. Because of rapidly advancing racing shock technology, what was once a simple decision for many racers, can now be a challenging decision among performance alternatives that can make the difference between a winning or losing season. At PRO Shocks, we’re proud to have the largest and most knowledgeable technical racing staff. Our goal is to offer excellent service. We offer in-house shock training programs geared at teaching how shocks function, how to tune with shocks and how to rebuild shocks if necessary. Winning starts with a great product, yes. But winning is secured when there’s an industry leading support staff ready to fulfill your needs. PRO Shocks brings the product and support staff to you!